A quick & easy peasant style dress w/contrasting waistband, optional apron. 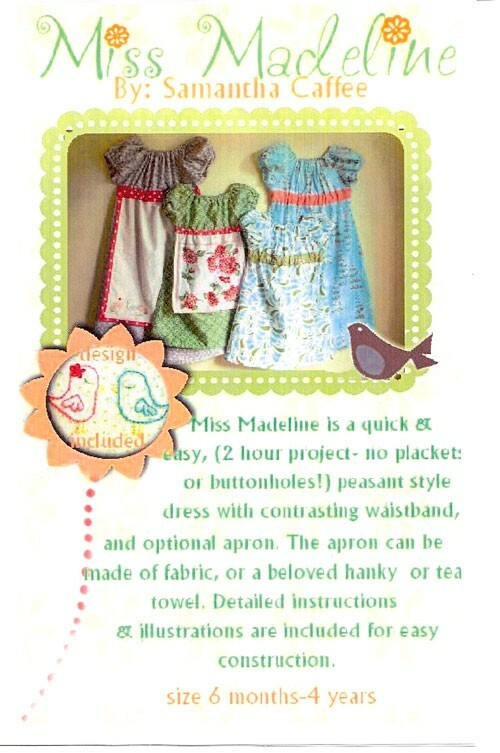 The apron can be made of fabric, a beloved hanky or tea towel. Detailed instructions & illustrations. Easy construction. Select Pattern Size option 6 month - 4yr. 5 - 10 yr.